SILVERPOINT PAYS OUR CLIENTS OVER 27,047€! Canarian Legal Alliance is delighted to share its latest Silverpoint payout! After achieving a victorious outcome in both the First Instance Court and the High Court, our clients are now able to enjoy those monies awarded to them. 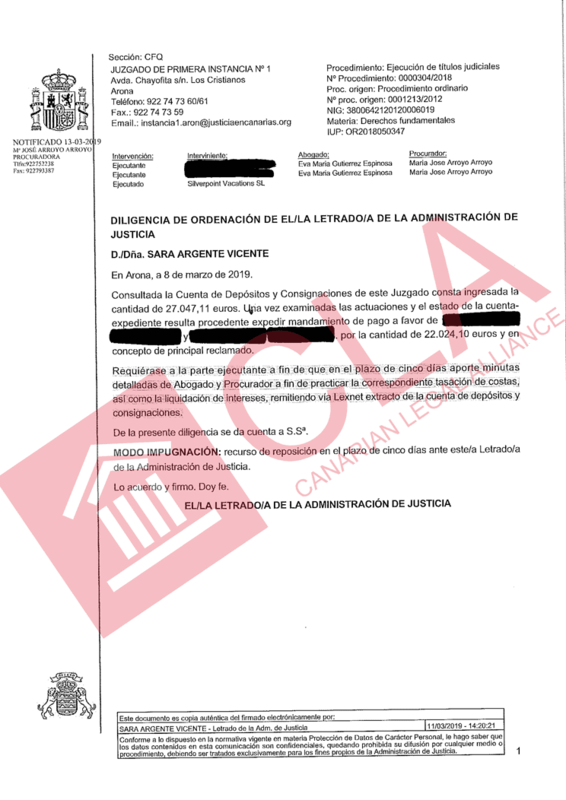 Despite being condemned twice by the courts Silverpoint refused to pay our clients refund voluntarily and therefore the courts implemented what is known as an embargo. Very soon after this was done, Silverpoint were left with no choice but to payout what our clients were awarded. Our clients are now able to enjoy over 27,047€ plus their full legal fees and legal interest.